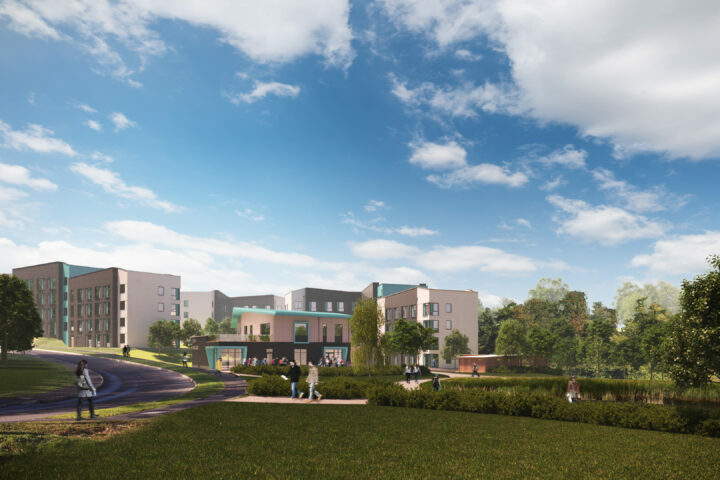 The Moberly scheme is our fourth major scheme on the University of Exeter Streatham Campus. 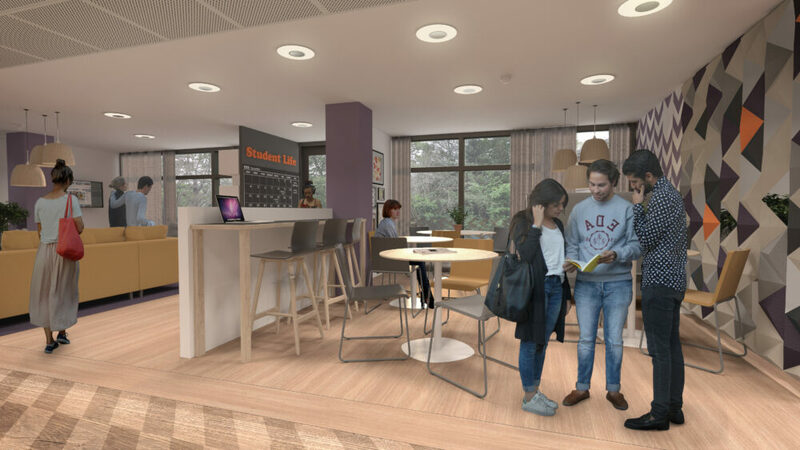 The proposal sees the demolition of existing halls of residence (139 bedrooms) and the construction of a replacement building providing 251 student bedrooms with shared bathrooms, providing affordable campus accommodation. 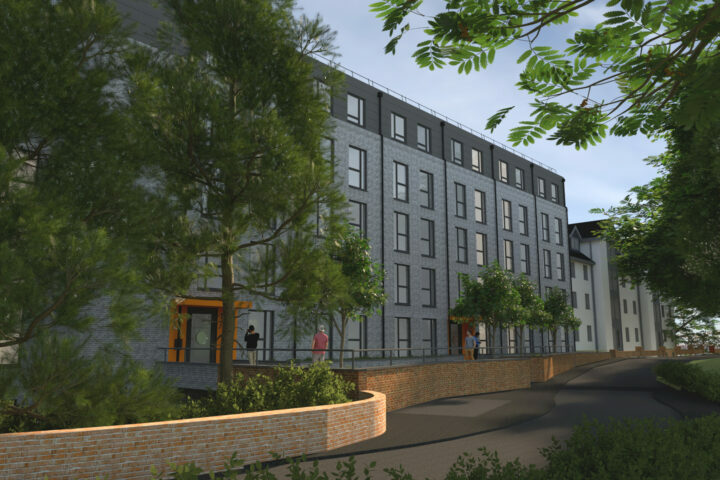 Moberly House sits on a steeply sloping site at the northern edge of the University of Exeter’s Streatham Campus. 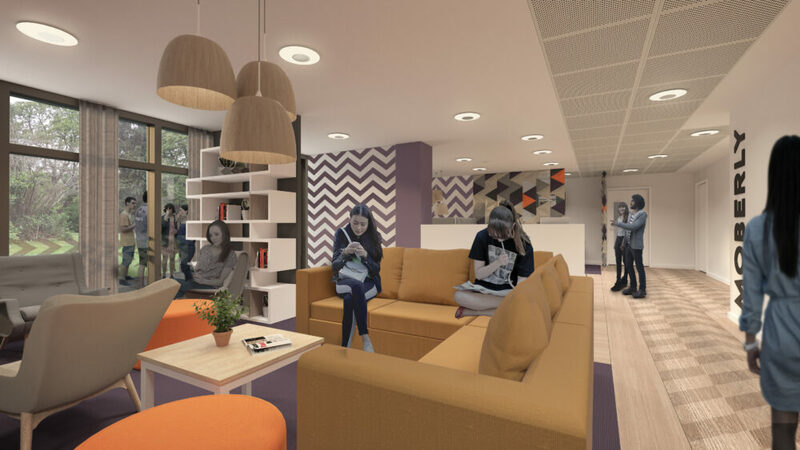 The existing accommodation no longer meets the expectations of students and the building was unsuitable for adaptation for re-use. 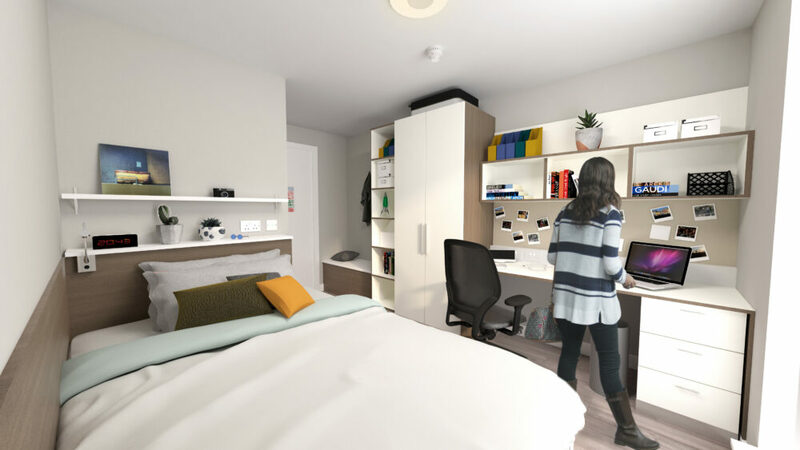 The proposals provide much needed campus accommodation in the affordable rental band; reducing reliance on rented accommodation in the City Centre and supporting a mixed portfolio on campus. 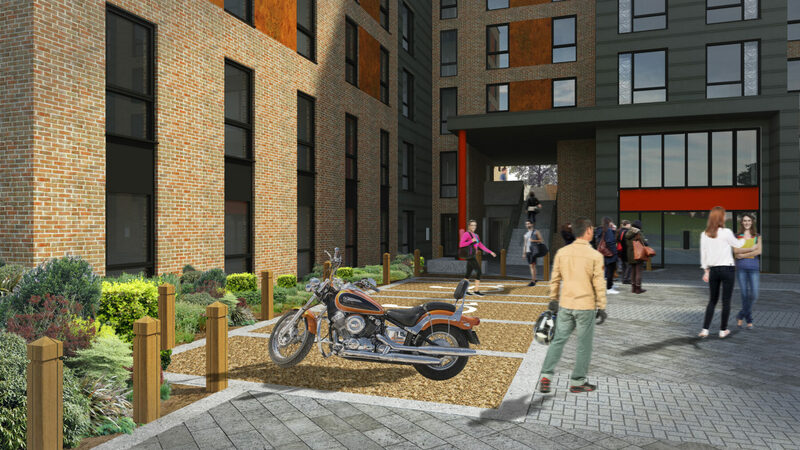 The scheme provides a mix of flats types, all with shared bathrooms. 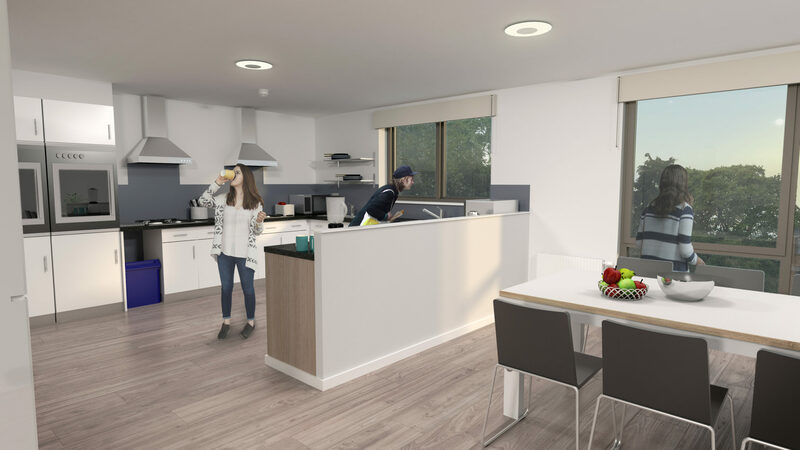 The majority of flats have access via their living space, creating a homelier environment and greater privacy to bedrooms. The design is a single H-shaped building which reduces the number of lift cores and internal circulation. The plan form creates two courtyards of differing character. The south facing courtyard is more private, has external social spaces and seating and links to the communal spaces on the upper ground floor. The northern courtyard provides a public face onto Lower Argyll Road for vehicle and pedestrian arrivals.